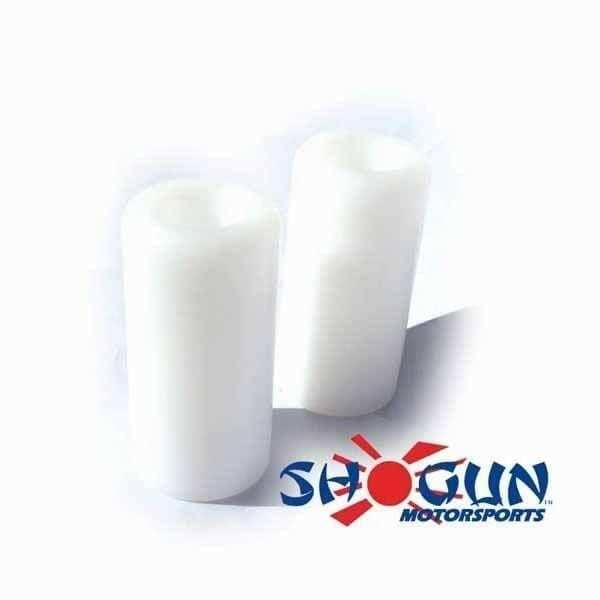 Shogun frame sliders are superior to other frame slider brands by virtue of their construction and material. Shogun pucks are made of shatter-proof UHMW infused with UV protective polymer. Shogun pucks absorb kinetic energy from crashes and will not shatter in cold temperature like some types of Delrin or fade in the sun. Each puck has a press fit aluminum bushing to hold it in place during impact to reduce the risk of the puck tearing off of the mounting point. 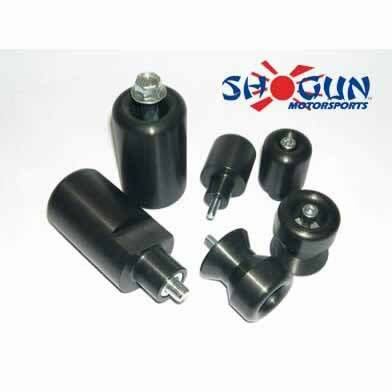 Shogun frame slider offsets are CNC machined from the same grade aluminum as military aircraft. Offsets are anodized black to match OEM components. 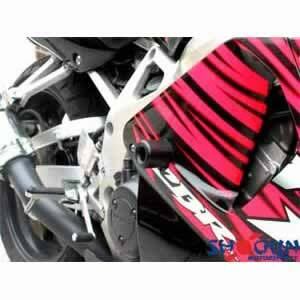 Each offset is manufactured to stringent specifications with ISO 9000 quality control. Each Shogun Frame Slider comes with high tensile strength corrosion resistant hardware (cheap imitators do not use high grade hardware and will quickly rust). Shogun uses socket head bolts in nearly every kit, allowing for stronger frame slider design in a more compact space. 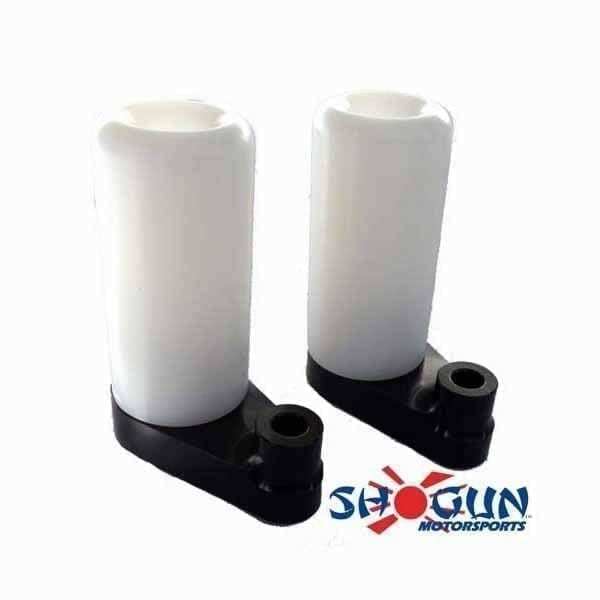 Newer applications of Shogun Frame Sliders make use of a counter sunk design, which distributes the force of impact over a wider area and gives additional strength to the system so that the puck remains attached to the motorcycle. 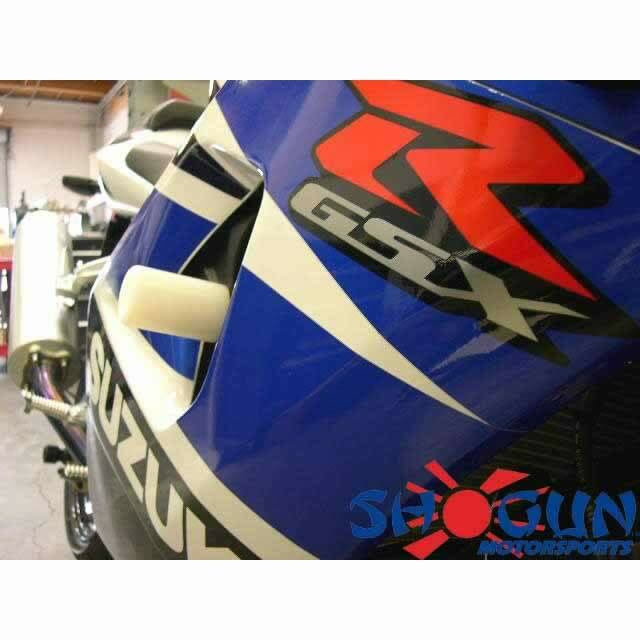 Shogun offers the rider a wide selection of frame sliders for nearly every type of rider. 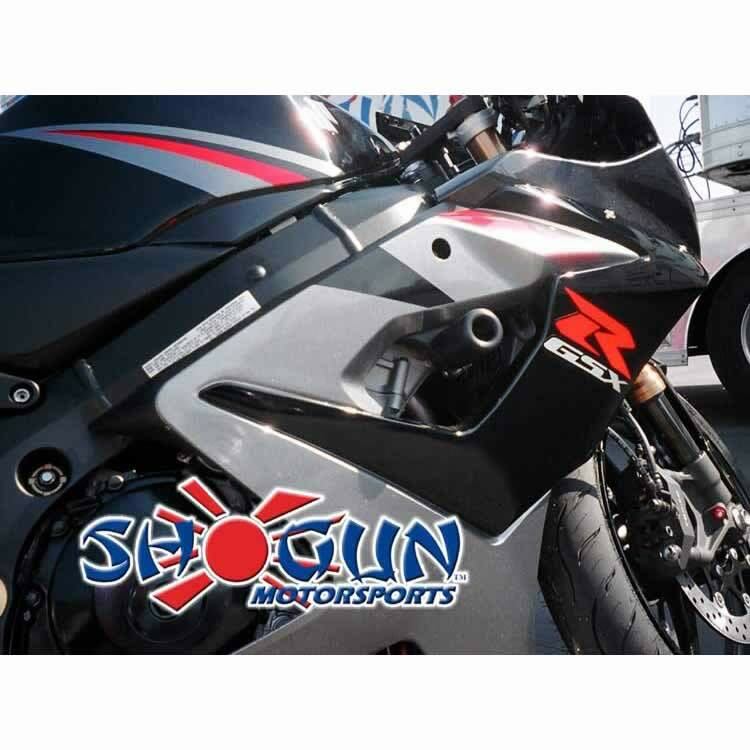 Shogun offers many popular selections in no cut style and also in direct mount option. 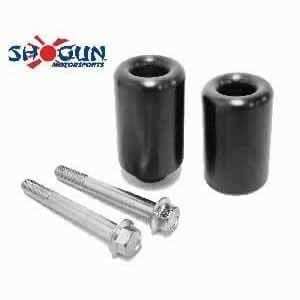 Shogun Frame Sliders come in standard black, white, chrome, and even carbon fiber. 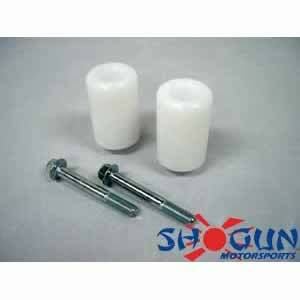 Shogun Frame Sliders are MADE IN THE USA. This means that spare parts are available – everything from replacement pucks, offsets, right down to the nuts and bolts found in every kit. High quality and easy to follow instructions are available in PDF format for download. Each set of instructions has a complete pack list of parts along with color illustrations to avoid confusion. Designed by racers, sold by racers, for the serious rider!